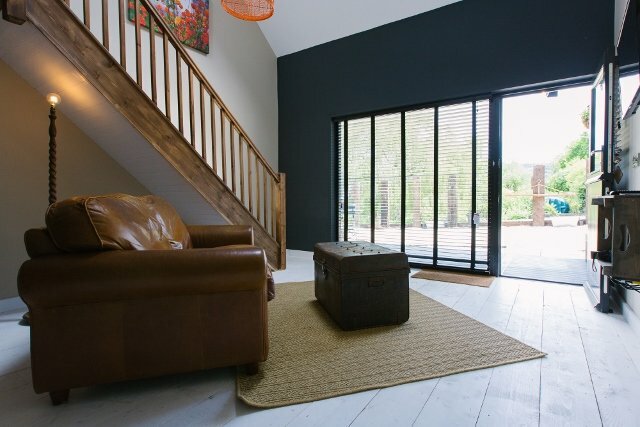 Westbrook Court, a charming 17th century farmhouse set in five acres of private land, offers luxurious and tranquil guest accommodation in a sleek, black timber-clad guest annexe that was recently built on the site of the old stables. 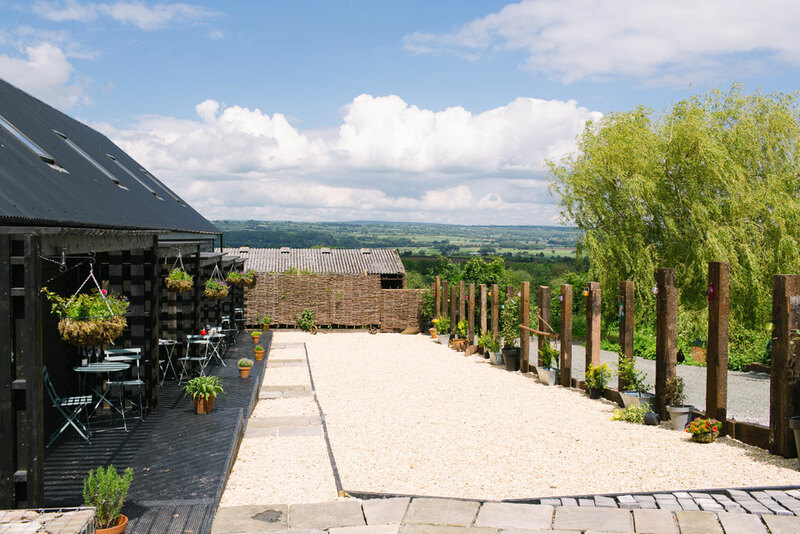 Great care has been taken to ensure that the annexe fits into its rustic surroundings beautifully and affords guests wonderful views of the Wye Valley. 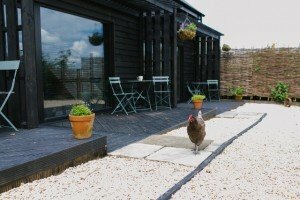 It contains five guest suites, which all open out onto a beautifully landscaped courtyard, so that guests can enjoy the Herefordshire countryside and watch the four resident chickens pottering around. 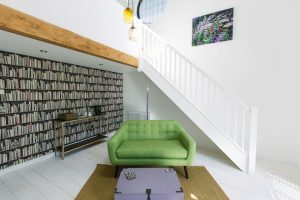 Westbrook Court is just a five-minute drive from Hay-on-Wye, a town that has become world-famous for its second-hand and antiquarian bookshops. At present there are approximately thirty major bookshops in the town, as well as numerous art galleries, antique shops, independent boutiques and great places to eat. The annual Hay Festival of Literature usually takes place in late May and attracts some of the top names from the literary world. Once you’ve enjoyed a dose of culture in Hay-on-Wye, why not get off the beaten track and enjoy the great outdoors? Hay-on-Wye’s unique position on the border between England and Wales means that it’s an ideal base for visitors keen to explore border country. 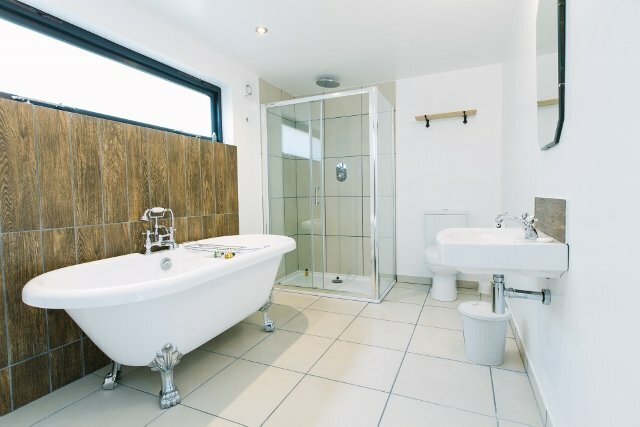 Westbrook Court is located within easy reach of a host of outdoor activities, from walks in the Brecon Beacons or along the Offa’s Dyke Path to kayaking or fishing on the River Wye and cycle rides through the Golden Valley. 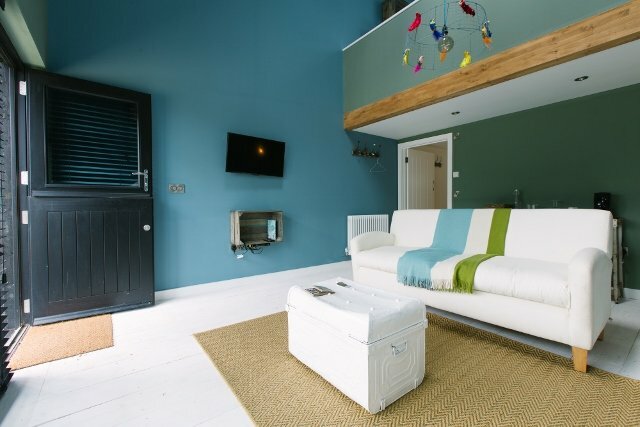 Westbrook Court are able to host dogs (with their owners) only on prior request at a cost of £5 per dog per night, which you can add to your booking as an additional extra. So if you are bringing your pooch, ­­please keep your dog downstairs and not on the beds or sofas and please take your dog with you when you go out for the day or night. Dogs are welcome throughout the property however, not in the communal dining room. Guests are required to pick up any mess – even in the fields as sometimes they have sheep in them. There are fields nearby for dog walks and your hosts can show you where (although some fields may have livestock at anytime of year), plus they also have tips and hints on other country walks and dog friendly places to eat nearby. It’s clear that owners Kari and Chris Morgan paid great attention to detail when designing and building the dedicated guest annexe. Kari, who runs her own interior design business, has used her formidable skills to create a unique, contemporary look that cleverly juxtaposes old and new. Her signature finishing touches include bespoke statement lights and lamps, supersized canvas art of the grounds at Westbrook Court, and cosy vintage throws on the sofas and beds. The overall effect is homely yet luxurious. Free, wireless internet access is provided throughout, plus there’s plenty of car parking space, and storage for cycles and kayaks or canoes. Families are well catered for and most of the basic equipment needed for those travelling with children, such as cots and high chairs, can be provided. A range of extras can be booked and paid for by prior arrangement, including fresh bouquets of hand tied seasonal flowers, chilled Proscecco and hand wrapped chocolates. 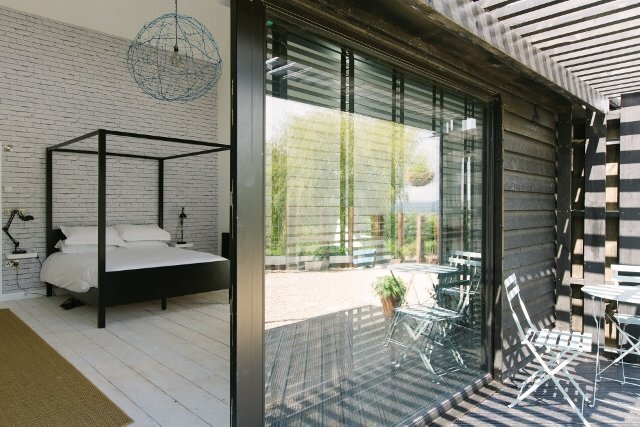 The five super stylish suites offer a choice of sleeping arrangements designed to accommodate the needs of different guests; there’s a fabulous king-sized four-poster room, a spacious family room with twin and triple sharing options, and delightful mezzanine retreats just perfect for couples. 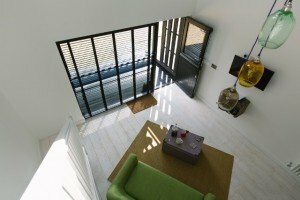 All suites have their own lounge area and a terraced deck – screened for privacy and angled to catch the sun – leading into the courtyard. They also have wall-mounted televisions; dimmable, zoned LED ‘mood lighting’; a choice of quality refreshments; umbrellas; torches and plenty of storage. Prices start at just £90 in the low season, up to £100 high season. When making a booking at Westbrook Court the preferred payment method is by bank transfer. Please contact Westbrook directly when making a booking so that they can ensure a double payment isn’t taken from the card details provided to secure your booking. Payment should be made one month ahead of arrival, or if your arrival is within one month, payment will be taken anytime from making the booking. 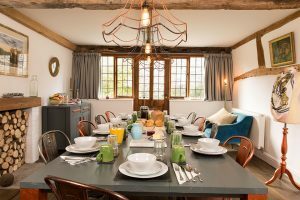 At weekends, both cooked and continental breakfast options, made with the finest local ingredients, are served in the dining room at the farmhouse. On weekdays, a luxury fully loaded breakfast hamper is delivered to your suite. This is filled with a selection of homemade breads or patisseries; pots of welsh butter and homemade jams; platters of smoked salmon and hard boiled eggs; pots of organic, natural yogurt; ramekins of granola and fresh berries, a selection of fruit; jugs of juice and milk; and a pot of Trumpers tea or cafetière of fresh coffee. You have found a wonderful place to stay and Boutique and Breakfast is committed to giving you a personalised service so that you can find the right room at the right price. Simply fill in our enquiry form and within 24 hours you will receive a response from Westbrook Court tailored to your needs. This will be in the form of either a telephone call or an email. This place oozes style but is so relaxing and in balance with the nature and farmland on the door step.